Western medicine has had a remarkable influence on society since the start of the 20th century. It established the feet as a mainstream treatment method and changed the criteria of healing. As western medicines believe that the germ (material) is the cause of various diseases, so the approach of treatment in western medicine went into the materialistic way. They failed to give attention to the sick person. They totally focused on treating the sick part and not the whole person who is suffering from the disease. Unfortunately, the sad story is that people are easily attracted by the complex explanation of disease and treatment but ends up with only short-term relief. It is obvious because when the foundation is wrong the outcomes are bound to be disappointing. They use the word “HEALING” without knowing the real way of achieving it. Is this the real healing? No. The word healing itself means “To make the whole“. Healing actually means to restore the physical as well as mental health of a diseased person naturally, completely and permanently. Under the influence of the western medicine, we forget the asset of holistic healing gifted by our ancestors in form of various herbs and natural medicines. That is the real way to cure the person. We are blessed with many ancient remedies. One of the most efficient of all in healing the whole is Black seed. The black seed is one of the miraculous herbs which we are blessed by our mother earth. The potentiality of the black seed is proven since the antiquity and praised ubiquitously by the mankind irrespective of region, religion, and race. It is about now more than 3000 years of the long period since our ancestors are using this magical healer the black seed often acknowledged as “THE BLESSED SEED”. Many ancient writers have written the astonishing effectiveness in order to cure numerous medical conditions, the list is endless. This ancient herbal medicine along with others is now swiftly establishing its feet into western medicine because of increasing awareness of the insufficiency of the western medicines in preserving the health of an individual. The core insufficiency of the western medicine in the mode of treatment is that the treatment is purely symptomatic. Western medicine believes that symptoms are responsible for the disease. So neglects the most importantly the person who is suffering from the disease. That is why the western medicine just treats the disease but fails to cure the sick person completely. While the ancient medicine is pretty sure in the base that disease is an end product of the internal imbalance and disturbed harmony of mind, body and soul. So it leads to complete cure of the person as a whole as well as enhances the inner strength of the body to prevent from falling sick again. The black seeds possess the unique and diverse curative action almost on each every part of the body so that there are multiple indications of this remedy. 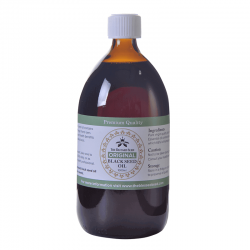 It is often a matter of question for many people that what is more effective whether black seed or black seed oil. The answer is black seed oil because it contains all its components in concentrated form so its efficacy is more than that of Nigella sativa. Black seed oil is easy to use and absorbs fast. 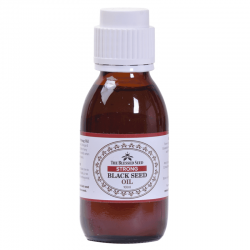 The major role played by black seed oil in maintaining the health of an individual is its power-boosting effect on the most vital, the immune system of our body. Medical research shows that the lower or altered immune response is being the major reason behind the majority of the diseases conditions. Modernization being the key influencer of our lifestyle, food habits, increasing amount of pollutants, radiation and most importantly the mental stress disrupts the harmonious flow and coordination of mind and body and leads lowered or altered immune response of our body so the process starts from ease to disease. Here the black seed oil plays a very vital role. It has a deep action over immune system. By restoring the immune system it repairs the disruption and allows the energy of the body to flow in harmony and so preserves the health. It has great effect on the digestive tract. It aids in digestion, acts as antiparasitic and laxative. So clears the digestive tract and allows the fast absorption of the nutrients. Following are some precious healing properties of black seed oil. Nigellon is one of the most important components of black seed oil. It is a bronchodilator, antispasmodic and also has a warming effect in its action so very much helpful in respiratory conditions like asthma, whooping cough etc. It not only cures the symptoms but also boosts the immunity to prevent from other diseases. 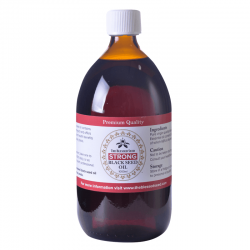 Another key component is Thymoquinone which is anti-oxidant in nature. It does not allow the unwanted formation of prostaglandin. So behaves as an anti-inflammatory and pain reliever. It helps in detoxification of the body and re-energized the body. So it helps in recovering from any diseases at a faster rate. Black seed oil contains all the essential vitamins and minerals in a well-balanced amount so also acts as a natural nutritional supplement. The diseases in which this herb is very helpful are diabetes, cancer, psoriasis, asthma, high blood pressure, leukemia, tumor, weak memory, mental exhaustion, addiction withdrawal, female fertility and various other skin care treatment. It is a “universal healer”. It is one step ahead of the western medicines. They act after the disease occurs but black seed oil does not allow the disease to occur. This is the major distinction between these two medicinal treatments. 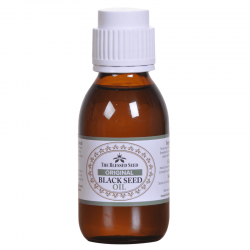 Since last few years, the black seed oil is been a wonder herb and area of research for western medicine. They are compelled to put their fingers into their mouth by seeing the versatile curative power of this herb. Black cumin seed oil has already proved its superiority at all level than any of the western medicine as black seed oil is a “Real Healer”.